Richard Estrop, director and head of dilapidations at Paragon, explores a new precedent in dilapidations disputes – and looks at how tenants can protect themselves from possible charges at the end of their tenancy. When a tenant comes to the end of a tenancy, or wishes to invoke an early termination clause, they must comply with the break clause obligations to avoid frustrating the termination and costly legal battles. It’s a common situation in commercial lettings. Any obligations regarding alterations or repairs must be met, and in most cases the tenant will meet all known obligations to avoid having to pay the penalty. However, where there’s ambiguity, there’s potential for dispute – and this is no different in dilapidations. In 2016, a landmark case set a new precedent for dilapidations disputes, specifically around the common disagreement over fixtures and chattels. When NHS Property Services invoked a break clause from its lease at Riverside Park on the Wirral, it was required to meet two pre-conditions. Firstly, notice had to be provided in writing at least six months prior. Secondly, and more significantly the cause of the dilapidations dispute, the premises had to be returned with vacant possession. This meant all chattels (personal property owned by the tenant) must be removed to provide free and uninterrupted access post expiry. After a high-profile dispute, Riverside Park successfully argued that despite vacating the property, the tenant had left it in a condition that restricted the landlord’s free access and enjoyment – thus rendering the NHS in breach of its terms. The offending items? Plasterboard partition stud walls screwed to the ceiling grid, which the judge ruled to be chattels and not fixed to the premises. These installations made by the NHS were seen to impede the landlord’s free access, which meant the vacant possession wasn’t achieved and implementation of the break clause frustrated. The Riverside Park vs NHS Property Services case drew a new line in the sand for an age-old issue in dilapidations relating to the degree of annexation and there has been much discussion on how this is applied to tenant’s alterations. Dilapidations disputes often centre around installations made by the tenant – in this case office partitions – and specifically who must bear the responsibility and cost of removal. If the installation is deemed a chattel, the tenant has a responsibility for its removal at the end of a tenancy. Ultimately, it comes down to an age-old debate on the definition of a chattel and how ‘permanently’ it is fixed to the property; clearly this leaves some room for a dilapidations dispute. In order to implement a vacant possession condition, it is important to also consider whether the landlord is given ‘free access and enjoyment to the property’ at the end of the tenancy – or whether they have been impeded as a result of non-permanent fixtures and fittings. This precedent set in dilapidations disputes could have impact on any commercial property. Paragon was asked by a significant occupier in The City to advise on a potential lease break which included a vacant possession clause. Our client had agreed a sale and lease-back several years previous and their extensive and cellularised fit-out had remained unchanged. Initial legal advice had suggested there were no additional works required to effect vacant possession, as the internal layouts had not been changed and all items within the property were deemed to be the landlord’s fixtures. 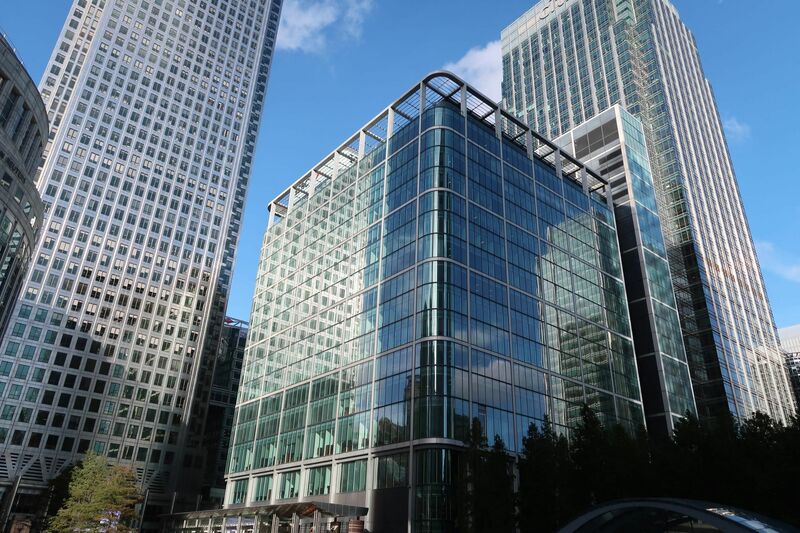 Paragon challenged this view as there was a significant risk of the partitions being deemed chattels and significantly restricting the landlord’s free access to each office space, which could, in turn, frustrate the lease break option or a costly legal challenge. Our client sought further expert legal opinion on the matter from one of the leading chambers, and they agreed that the risk was present. Ultimately, the lease break was agreed between the parties, but this shows the importance of the NHS dilapidations case as a cautionary tale for all property owners. There are practical steps a tenant can make to negate the possibility of any dispute, especially in light of the precedent set at Riverside House. Vacant possession typically requires a tenant to take a precautionary approach to remove all chattels, tenant fixtures and fittings, and (of equal importance) provide the landlord with unimpeded access to the property because, as we saw at Riverside House, if chattels remain then the landlord has sufficient grounds for legal action which could have costly repercussions. Above all else, if you are unsure whether your installations are regarded as chattels or fixtures, consider legal advice and speak to a surveyor. This can clear up any doubts you have and can also avoid any unwanted costs through a legal case or after a lease break. To find out more about Paragon’s dilapidations advice, visit www.paragonbc.co.uk/services/dilapidations or contact Richard directly on richardestrop@paragonbc.co.uk and +44 (0)7725 791 509.